From multi-Emmy award-winning Sinking Ship Entertainment comes an action-packed dinosaur adventure that proves there is nothing more powerful than family. 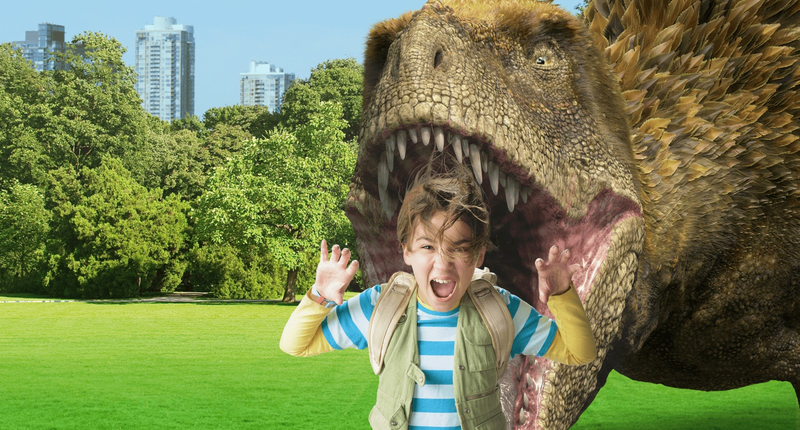 “Dino Dana: The Movie” finds 10-year-old Dana, who sees dinosaurs in the real world, completing an experiment that asks where all the kid dinosaurs are. However, before Dana can complete the experiment, her new upstairs neighbour (8-year old Mateo) finds Dana's magical Dino Field Guide, which allows her to see dinosaurs, kicking off a dinosaur journey bigger than anything Dana has ever faced before. When Mateo is dino-napped by the T-Rex, who thinks he's one of her babies, it’s up to Dana, her older sister Saara, and Mateo's older step-brother Jadiel to get him back. Along the way, Dana will race through a stampede of Triceratops, take on a Spinosaurus and ultimately realize that the kid dinosaurs have been right in front of her all along.